FrozenCPU has taken the sleek looking Fractal XL R2 chassis and gave it the full size bolt-on treatment (19 1/4" x 18 1/2"). This unique window will make your hardware fully visible allowing you to show off your hard work and effort. Fractal Design builds on the success of its awarding-winning Define XL computer case with the Define XL R2. This updated chassis carries on the family tradition of providing superb cooling and ventilation capabilities with exceptional expandability, in a sleek and stylish Scandinavian form. The Define XL R2, which includes Fractal Design’s innovative ModuVent™ feature, has an updated internal layout that offers greater expandability, modularity and flexibility, including capacity for 9 PCI cards and two HDD cages that can be repositioned to provide more space for water cooling radiators. Pictures shown with black trim window version. Patented ModuVent™ design allowing the user to choose between optimal silence or maximum airflow. With a new internal layout and additional PCI expansion slots, it can harbor the most powerful enthusiast systems. Both HDD cages can be removed or repositioned - Top HDD cage can be removed or repositioned for increased airflow whereas bottom HDD cage can be repositioned further into the case to allow for front radiator mount. 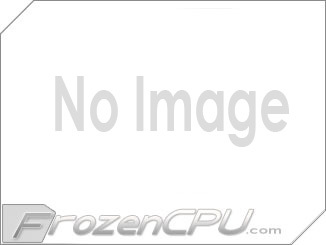 The case can fit water cooling equipment in the front, top, rear and bottom without major modifications. 19 1/4" x 18 1/2"
Took awhile to receive this because the plexiglass was back ordered, but when it arrived it looked very nice. The cuts were perfectly smooth all around with the plexiglass and the metal. 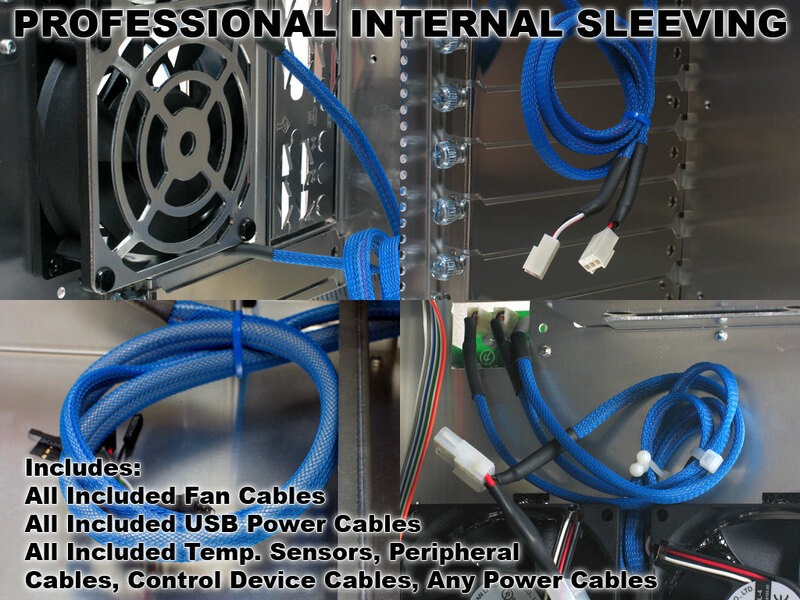 Sleeve All Internal Case Cables! The Bitspower Super Tight Weave 3/8" Cable Sleeve Deluxe is a 3/8 inch (9.525mm) outer diameter sleeving sold in bulk by the foot. Braided expandable sleeving is the ideal solution for tidying up case wiring and achieving a professional look in your case. Multiple quantity purchases will be supplied as one continuous length. The Bitspower Super Tight Weave 1/4" Cable Sleeve Deluxe is a 1/4 inch (6.35mm) outer diameter sleeving sold in bulk by the foot. Braided expandable sleeving is the ideal solution for tidying up case wiring and achieving a professional look in your case. Multiple quantity purchases will be supplied as one continuous length. 1 and up $334.98 ea.